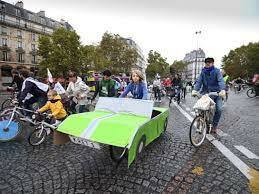 Images: Paris goes car-free all Sunday! 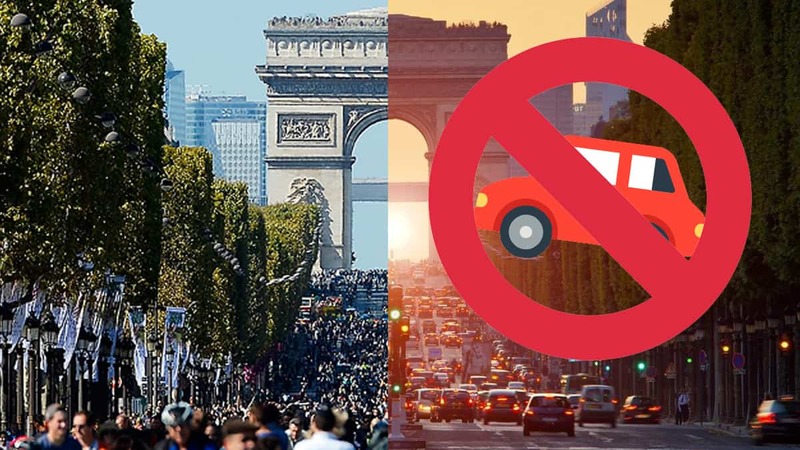 The French capital was declared car-free all Sunday. 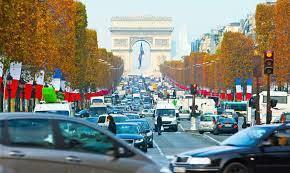 The streets of Paris were totally empty on Sunday as cars were banned from the entire city! All cars were banned with the exception of taxis, busses, and emergency vehicles like police, fire, and ambulance services. If you needed to use your car, you better have a good excuse! Using it could see you get a fine of up-to £120. Instead of driving, loads of people walked and cycled around the capital. Some even got on their rollerblades! The Mayor of Paris came up with the idea. She was elected on a promise to curb air pollution and reduce car traffic in the French capital. 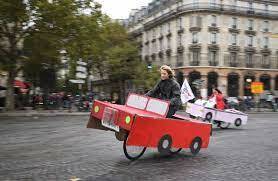 Some people even decorated their bikes to look like cars! Paris’ car-free day did cause some headaches for people, especially those who went to Paris Fashion Week. The people who work on Fashion Week tend to use big trucks and lorries to carry clothes, stages, and impressive sets. They had to find different ways of getting their gear to the runways.